Celebrate Halloween in the Lake District. With Halloween falling in the middle of the October half term school break, there is plenty of opportunity to join in the fun of Halloween here in the Lake District. 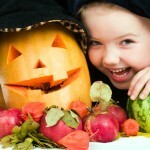 Here is a selection of some popular Halloween events and activities. 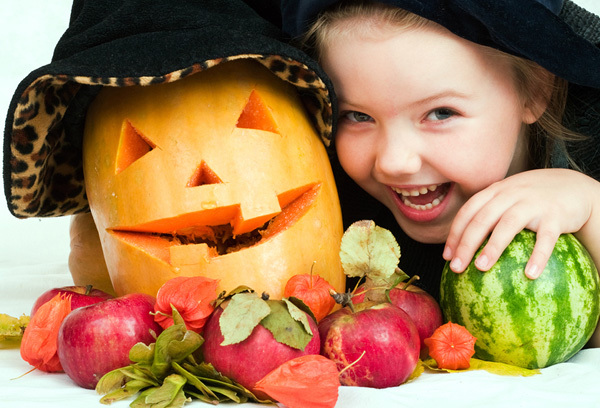 Traditional activities at Halloween include apple-bobbing and Trick-or-Treat, where children go to a neighbour asking for a treat (sweets) and if they don't receive any, play a trick on the neighbour. Did you know that Halloween or Hallowe'en is a contraction of the more formal title All Hallow's Eve or All Hallow's Evening. In the Western Christian calendar the Hallowmas was dedicated to remembering the saints (hallows), martyrs and the departed faithful believers. Read more about Halloween here. A ghost train ride is fun and entertaining, with lots of scares for all. Here is a list of all the Ghost Train Rides you can enjoy here in Cumbria this Halloween.